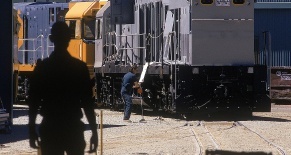 Headquartered in Sydney Australia, Global Locomotive encompasses a team of experienced locomotive designers and developers based in Australia and New Zealand. Our team will match your needs from our CLEAR Power Container family and apply its flexible technology platform to any class of local motive power – from new build for OEM’s through to remanufacturing and repowering locomotives up to 60 years old. Exclusively powered by the highly respected diesel manufacturer Cummins, our engines use the latest common rail diesel technology designed specifically for the rail industry (including US EPA Tier 3 & Tier 4 solutions available immediately!). Direct fuel savings of ~30% by utilising these modern engines alone. CLEAR eliminates the old systems, and replaces them with new, smarter ones.